Why? Why did I wait so long to read this book? The number of times I saw this book at the library, picked it up and contemplated checking it out only to put it back on the shelf and walk away is ridiculous. It is strange too because I knew this was a fairy tale retelling, which I love, so why I brushed off this book so many times is beyond me. However, I am so glad I finally decided to read it. 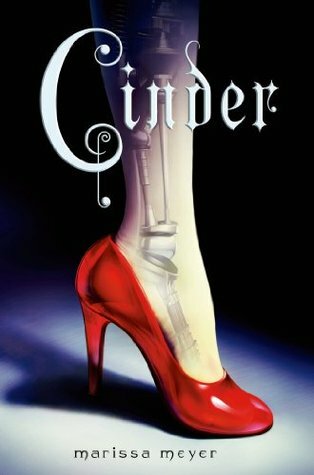 Marissa Meyer took a well-known fairy tale and threw in a surprising twist: Cinder, the protagonist, is a cyborg living in a dystopian world. Cyborgs are not considered humans to the other people around them who do not have artificial limbs and technology embedded in their brains. It is easy to see how her life matches that of Cinderella, and really, Cinder...Cinderella...if that did not indicate to readers what fairy tale this story is based on, I would be concerned. Check out the rest of the review by heading over to the post on my blog via the link provided above.